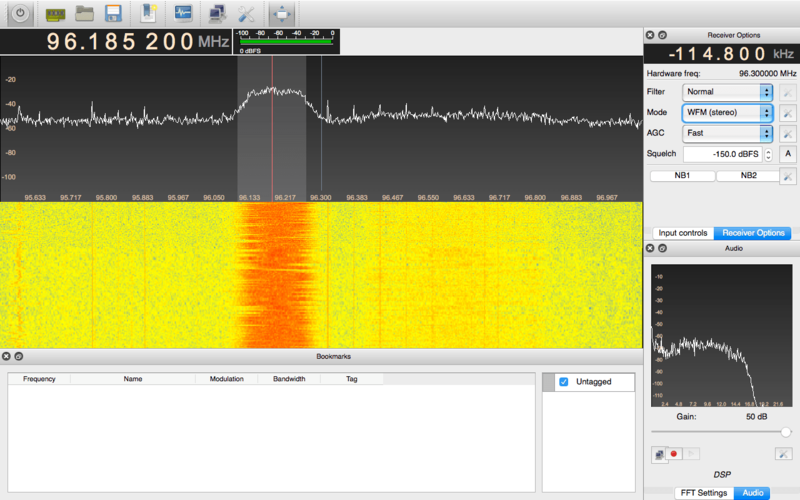 Thanks to Doug Ward (@dsward) for letting us know about his new RTL-SDR compatible MacOS based app called LocalRadio. LocalRadio is an open source web browser based app that connects to a MacOS server running an RTL-SDR. The software allows you to listen in on any frequency supported by the RTL-SDR in AM or FM modes, and audio is capable of being streamed to multiple devices via a built the LAME MP3 encoder, EZStream and Icecast server. It does not provide an FFT or waterfall display however. 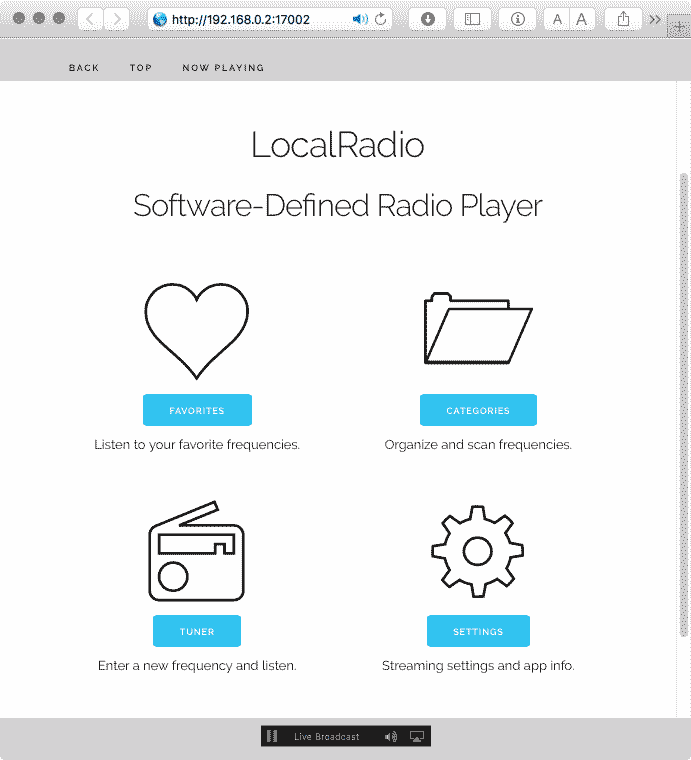 LocalRadio is an experimental, GPL-2 licensed open-source application for listening to “software defined radio” on your Mac and mobile devices. With an inexpensive RTL-SDR device plugged into the Mac’s USB port, LocalRadio provides a casual listening experience for your favorite local FM broadcasts, free music, news, sports, weather, public safety and aviation scanner monitoring, and other radio sources. LocalRadio’s easy-to-use web interface allows the radio to be shared from a Mac to iPhones, iPads, Android devices, and other PCs on your home network. No additional software or hardware is required for sharing with mobile devices, simply use the built-in mobile web browser to connect to LocalRadio and tune to your favorite stations. You can also listen to LocalRadio audio on your Apple TV and other AirPlay-compatible devices. LocalRadio does not provide features like FFT waterfalls, panadapters, or signal recording that are found on other SDR software. 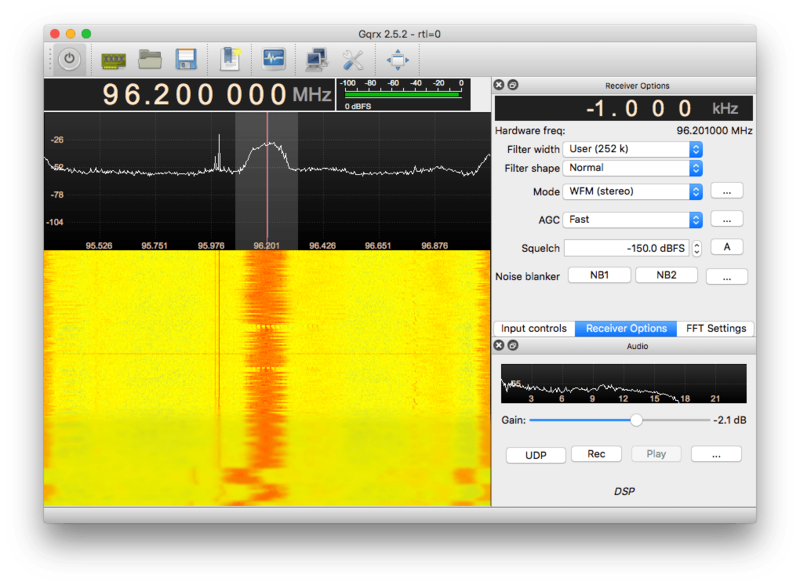 For those features, GQRX for Mac is highly recommended. GQRX is a good way to discover radio frequencies that can be used with LocalRadio. LocalRadio is intended for use as in-home entertainment, using a local area network with a private IP address. It has not been tested with a public IP address, particularly for security testing, therefore it is not recommended for that purpose. For simply listening to LocalRadio on the Mac with the RTL-SDR device plugged in, no network is required at all. A few weeks ago Matthew Miller showed us how it was possible to run DSD+ in OSX using a program called Wineskin. 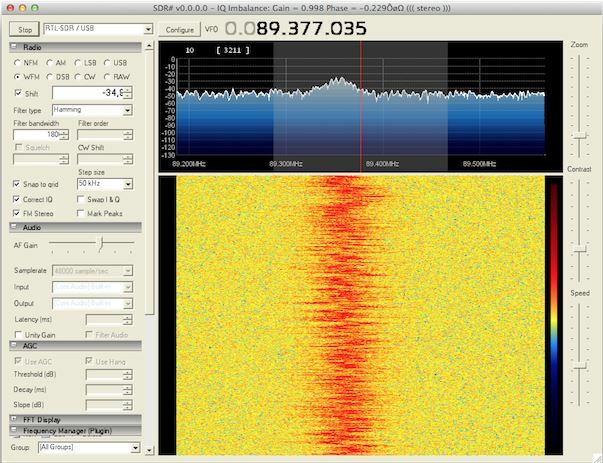 Now he’s uploaded a new video that shows how to get SDR# working in OSX El Capitan with Mono. SDR# is designed to be used in Windows, but since it is written in C# under the .NET framework, it should be possible to run it on OSX with the open source Mono .NET implementation. The overall installation is not as straight forward as simply downloading a zip file like it is on Windows, but the tutorial Matthew provides is clear and easy to follow. The steps involve downloading SDR#, downloading Mono, installing MacPorts, installing PortAudi, installing the RTL-SDR libraries and then setting up some required symbolic links. Finally he shows that to access the RTL-SDR you must first run RTL-TCP and then connect to that using the RTL-SDR (TCP) option in SDR#. DSD+ (Digital Speech Decoder+) is a popular Windows tool that can be used together with an RTL-SDR to decode digital speech signals such as P25 and DMR. There is unfortunately no version for OSX. However, recently on YouTube user Matthew Miller has uploaded a video showing DSD+ running with CubicSDR on OSX. To do this he used a utility called “Wine Skin” which creates a wrapper that allows Windows software to run on a MAC computer running OSX. This means that DSD+ can be run on directly OSX without the need to use a virtual machine with Windows installed on it. SDR# is the most commonly used Software Defined Radio receiver GUI that is used with the RTL-SDR. Natively, it runs on Windows, but since it is written in C#, it can also run on Mac OSX and Linux with Mono. Installing SDR# on OSX using Mono is a little more complicated compared to simply running it on Windows however. 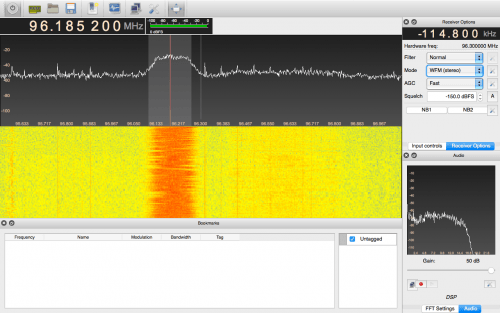 To help with this, Jan Szumiec has written a simple guide on installing SDR# using Mono on OSX. The guide includes the steps of installing Mono, the Xamarin Studio Mono IDE, the rtl-sdr libraries and then compiling the SDR Sharp sources and symlinking the Mono runtime to the native libraries. Update: This is no longer possible as the SDR# code is not available anymore. I have combined “rtl_fm” with Thierry Leconte’s (GPL’ed) acarsdec library code and created “rtl_acars” which can directly decode ACARS flight info messages to the console. Confirmed to compile on OSX 10.6 (not possible for me to check if it also compiles under Windows and *nix). Feel free to add it as another proof of concept to your distro unless you consider it too much of a quick&dirty hack. Only the source code is available, and you will need to compile it yourself. The code can be found here.